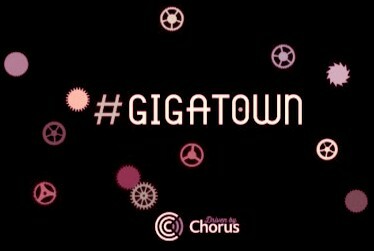 Chorus has today announced the five towns that have gone through to the final round of the Gigatown competition. Dunedin, Gisborne, Nelson, Timaru and Wanaka have all won places in the final and will go on to compete for the chance to become New Zealand’s first Gigatown. Chorus can also confirm that Orcon has signed up to be the first retail broadband provider to support Gigatown and will be developing exciting new services for customers over the Chorus fibre network in Gigatown in 2015. Chorus joint acting General Manager of Marketing and Sales, Mike Lott, says, “The winning town will be ideally placed to become a leading digital innovation hub for New Zealand. With Orcon on board to deliver services in the winning town over our fibre network, we’re looking forward to seeing the infinite possibilities available to Gigatown residents and businesses alike. The final round of the Gigatown competition kicks off today and towns are now competing to win points across five different challenges, one of which includes developing a plan for gig success, where they can demonstrate how they will best leverage access to gigabit fibre. The plans for gig success will be judged by a panel of influential New Zealanders, with the New Zealand public also called on to cast their vote for their favourite plan, before the winner is announced on 26 November. The judging panel will be announced at the end of September. To become Gigatown, finalists will also need to show New Zealand just how much they want to win by demonstrating strong community engagement, through having the loudest voice on social media, and the largest number of supporters. As part of the competition, Chorus is taking representatives from the five finalist towns to Chattanooga in Tennessee, U.S. so they can see how a community can be transformed by world leading connectivity with gigabit services. A Gigatown development fund – a $200,000 fund provided by Chorus and Alcatel Lucent’s ng Connect will support entrepreneurs and innovators taking new services to market over the gigabit fibre connection in Gigatown. A Gigatown community fund – this is a $500,000 fund provided by Chorus over a three-year period for organisations in the winning Gigatown that want to kick start community related developments that showcase how gigabit infrastructure and UFB can be activated for social good.